Maples are so beautiful in their autumn colors - flaming reds to burnished golds. Here is a row of them along a quiet country road. This painting has been sold. 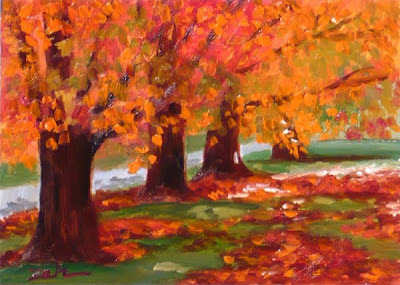 You can find my autumn paintings and prints for sale at JanetZeh.Etsy.com. Thanks for stopping by and have a beautiful day.